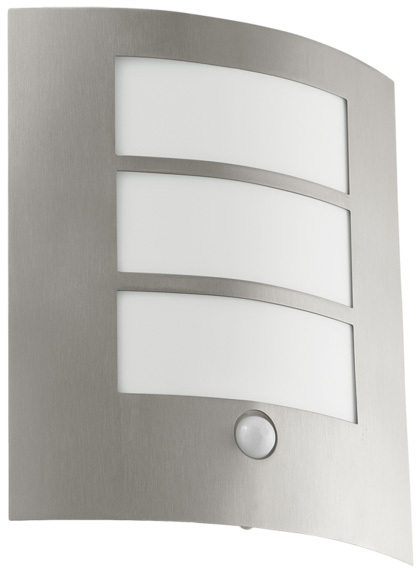 The Eglo City flush outdoor PIR sensor wall light in stainless steel, a modern slatted design rated IP44 and suitable for external use. Stylish stainless steel fascia fitted over a white polycarbonate wall bracket creating three opal panels to allow the light to shine through. 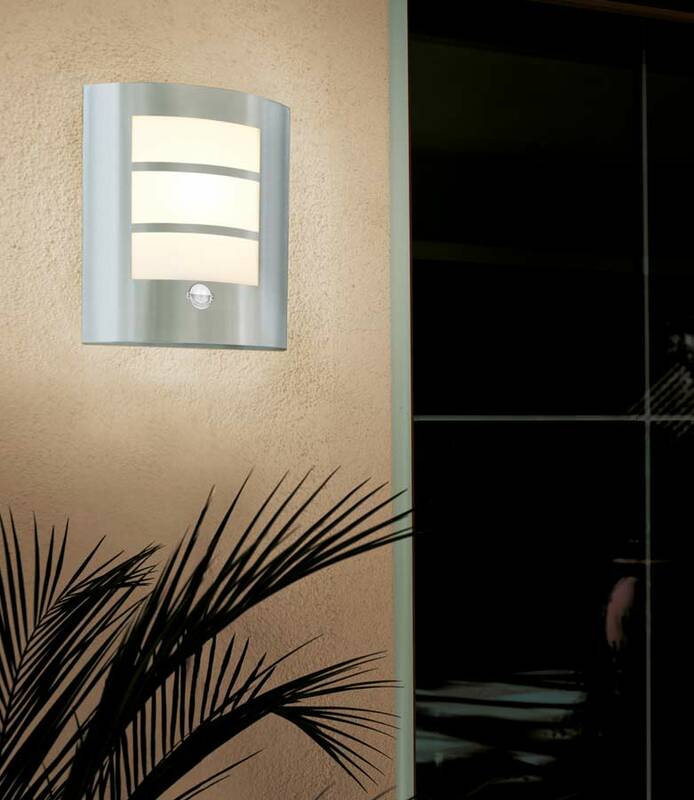 A flush outdoor wall light, with a built in motion sensor and photocell that will only activate during the hours of darkness. Takes a 60w incandescent lamp, 7w LED or bright 15w energy saving lamp. Adjustable motion sensor gives a maximum range of 8 metres. Please note: The wall mount can be seen when viewed from the side. Please confirm that this is a ‘dusk to dawn’ outside light that switches on and off automatically + an integral PIR. This light functions with a PIR sensor during the hours of darkness. The dusk to dawn facility ensures it doesn’t switch during the daytime.